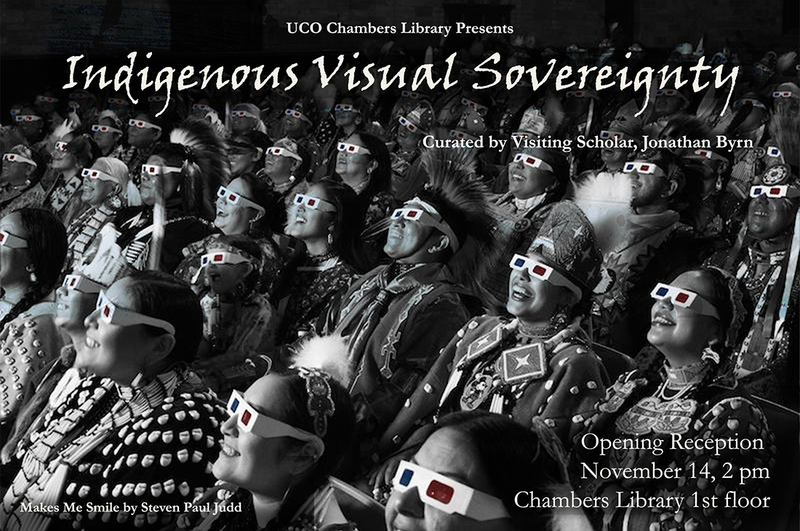 In celebration of Native American Heritage Month, the UCO Archives and Special Collections in collaboration with the History & Geography Department will host an Exhibition Opening, Indigenous Visual Sovereignty, on the 1st floor of the Chambers Library. Visiting Scholar, Jonathan Byrn will present on the representation of Indigenous Sovereignty in the artwork of contemporary Native American artists. Everyone is welcome to attend. Friends of the Library will sponsor refreshments.